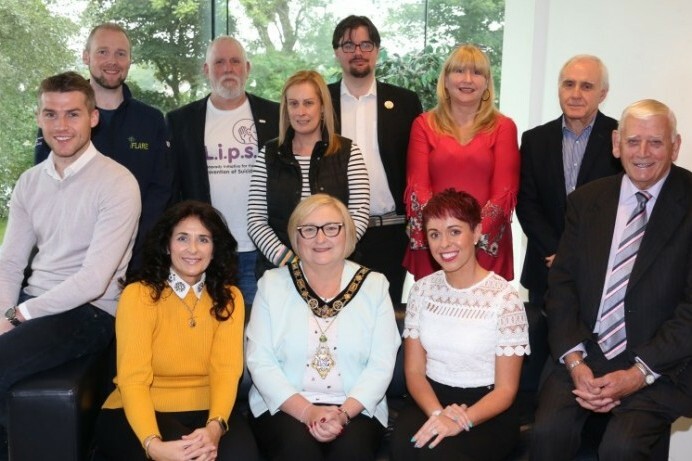 The Mayor of Causeway Coast and Glens Borough Council has held a civic reception to mark World Suicide Prevention Day. The event on Monday 10th September was attended by organisations who promote mental health wellbeing across the area. The Northern Health and Social Care Trust, Lifeline, Barnardo’s and Inspire Wellbeing were joined by representatives from Bee Heard (an independent mental health support group in Coleraine), the Dry Arch Centre (based in Limavady and Dungiven), Limavady Initiative for the Prevention of Suicide (LIPS) and Solas, a Ballycastle-based group who provide a range of services and activities. The Mayor, Councillor Brenda Chivers said: “I wanted to mark World Suicide Prevention Day by showing our civic gratitude to those who work tirelessly to promote positive mental health in our local communities. Across the Causeway Coast and Glens area we are fortunate to have a strong network of service providers and collectively they are making a positive difference to the lives of many people. I hope this event will help to raise awareness of the support which is available and encourage those in need to reach out for help. 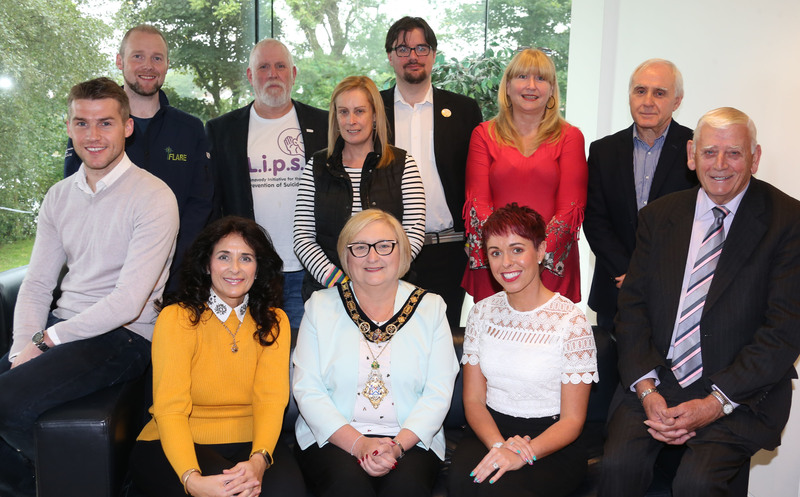 The Mayor of Causeway Coast and Glens Borough Council Councillor Brenda Chivers pictured with those who attended the civic reception to mark World Suicide Prevention Day.